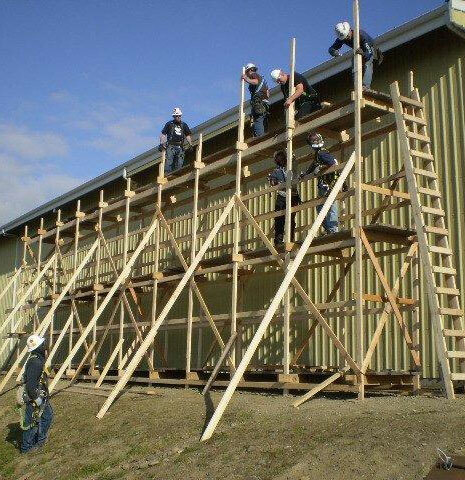 Industrial Scaffolding Solutions: Safe Work. Solid Results. Every Time. The role that scaffolding contractors play on worksites is increasingly critical to the success of that project. Whether work calls for ground-supported, structure-supported, or suspended scaffolds, the key to success is consistently safe, productive work. That type of performance is achieved only by professionals who are trained, tested, and qualified to complete scaffolding assignments safely and productively. 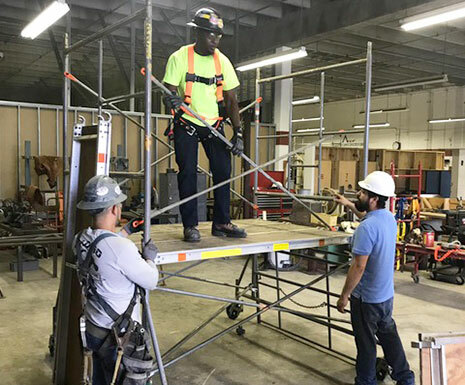 The Florida Regional Council of Carpenters invests the time and resources to make sure our scaffolding professionals are trained to produce superior results every time. Our priority is to place only the best-trained, safest, most productive scaffolders in the industry onto the job site. Our well-trained, safety-minded scaffolders work well in the refinery, power generation, renewable energy, steel, petrochemical, civil infrastructure, industrial, and commercial construction industries. Our new Rigger and Signaler Certification program meets new rigger and signaler requirements in 29 CFR 1926 Section CC – Cranes & Derricks. Experience. We know how to provide safe access and egress, build safe engineered structures, provide temporary facilities for work locations, and provide protection for other workers. Expertise. We solve problems quickly by troubleshooting the issue and implementing a solution. Flexibility. Disciplined crews are available to work non-traditional hours to keep projects on time. Professionalism. We understand the importance of a good attitude and professional work ethic, and how to properly represent the contractor and the project owner on the job site. Our goal is to partner with project owners to solve problems and complete tasks to the customer’s satisfaction, and to address challenges that surface during a project in a manner that keeps productivity humming. Foremen and Superintendent Leadership We train the best candidates to be foremen and superintendents—leaders who motivate workers, communicate effectively, and solve problems. Superior Training. Professional Craftsmen. Productive Workforce. We will provide that for you. Give us a call. By placing Florida scaffolding specialists on your project, you are avoiding the hassle and expense of recruiting, hiring, and training workers. Prevent scrambling to find these specialized carpenters with the proper qualifications that your job site calls for, and place the assignment in the hands of skilled, productive crews. By requiring Florida scaffold carpenters, you’ll quickly benefit from our commitment to keep you competitive and profitable. Today’s Florida Carpenter is hard working, safe, skilled, and brings a professional attitude to every job site. We Build. On Time. Every Time.